The Estonian defence solutions provider, Milrem Robotics, is expanding the capabilities of its THeMIS unmanned ground vehicle to equip soldiers with several new robotic systems for defence applications. One of the company’s aims is to enhance fighters’ situational awareness. To that end, several systems are in development and one of them – the Titan Sentry – will be exhibited at the Defence and Security Exhibition DSEI 2017. 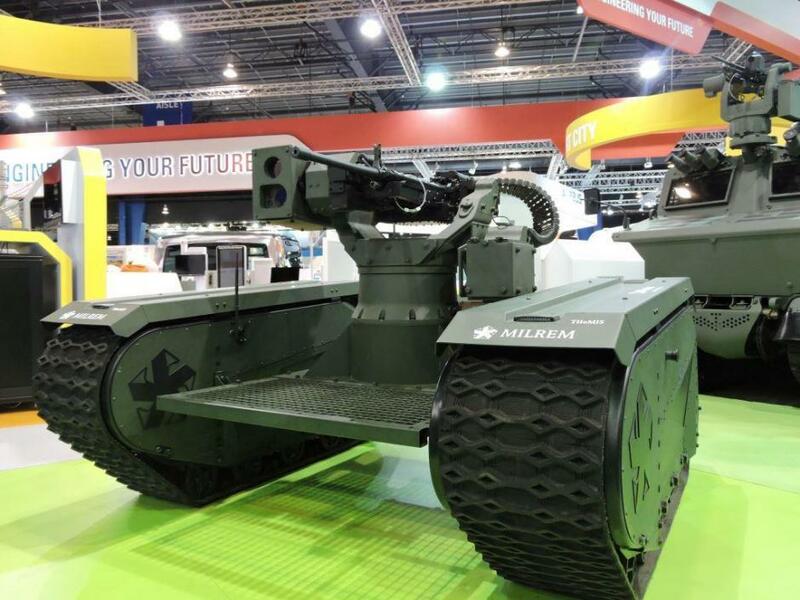 Developed together with QinetiQ, the Titan Sentry concept features the THeMIS unmanned ground vehicle. “The Titan Sentry is an exploration of manned/unmanned teaming where the cognitive burden on the warfighter is vastly reduced through the fusion of sensor data and advanced battlespace management systems,” the company said in a statement, adding that the system is intended to operate in high threat areas where it can identify and fix enemy locations while minimising the risk of casualties. Milrem Robotics has also started to develop an unmanned system that combines the THeMIS with aerial drones. Working with the Estonian UAV manufacturer, Eli, a drone nest is being developed and with Threod Systems a tethered multirotor UAV integration project has begun. These systems can be deployed in high risk situations or remote areas where oversight of a larger area is required without the need of a human operator to be present, the company said. Cover: Milrem’s THeMIS unmanned vehicle.